By Melissa - The content of this website often contains affiliate links and I may be compensated if you buy through those links (at no cost to you!). Learn more about how we make money. Last edited November 14, 2018 . Crystal Paine and her husband, Jesse, have certainly had financial struggles during their marriage. When they were first married, they vowed to stay out of debt even while Jesse made his way through law school. Some months they earned as little as $650, and their rent was $500! Still, Paine says that they tithed 10% every month and often prayed that their needs would be met, and by the grace of God, they were. Paine and her husband have been good stewards of their money. Not only did they sacrifice so Jesse could graduate from law school debt free, but when Jesse began his law career and Crystal’s blog, Money Saving Mom, grew and brought in a nice monthly income, they continued to live a conservative lifestyle. By doing so, they were able to save for 2.5 years and pay outright for their first home in cash. Now, Paine shares her strategies for saving money in her new book, The Money Saving Mom’s Budget Book. This book is not your typical financial advice book. In fact, Paine spends the first chapter talking about clutter, not money. Why? She feels that if your environment is cluttered, you are often stifled and likely to spend additional money because you can’t find the things you already have, you may not be organized enough to pay your bills on time, and you spend more time cleaning up because you have to constantly move the clutter. She advocates taking an entire day to clear the clutter from your home. In addition to clutter management, she advocates time management in the second chapter. The third chapter explains in detail how to budget to meet your family’s needs including anticipating expenses you will need to pay throughout the year so you are never caught off guard and never have to dip into your emergency fund for a non-emergency. She also advocates the use of cash only, which many Bible Money Matters readers already advocate. Finally, she asks readers to take it slowly and get used to having a budget for three months before delving deeper into budgeting. Paine seems to want to truly teach her readers habits that will stay with them for a lifetime. The heart of the book focuses on how to save money at the grocery store from how to use coupons effectively to how to menu plan to feed your family meals for the lowest cost while not skimping on quality. Paine offers practical advice on using coupons; she does not go to extreme measures and confesses to even taking a week or sometimes a month off from couponing to recharge. However, she urges all consumers, even those who eat organic foods or have food intolerances, to use coupons because they could still be saving money. The Money Saving Mom’s Budget Book is a basic primer to teach people how to manage their money and stay out of debt. 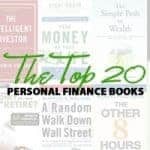 It is a terrific resource for those who are struggling with managing their money or meeting their monthly obligations. If that is you, or if you know someone like that, this book could be very beneficial. As a devout Christian, donating is something that is very important to Paine. At the end of the book, she advocates donating your time or groceries you can buy for nearly free when using coupons if you are struggling financially. One of Crystal and Jesse’s main reasons for staying out of debt is so they can donate generously. In fact, all profits from The Money Saving Mom’s Budget Book will be donated to Compassion International. Paine’s final message is a simple one: learn to control your finances so you can get ahead and also help others by donating your time and money. Crystal’s story is very inspiring. I read it a couple of years ago at Dave Ramsey’s site. Being a Dave Ramsey fan myself and a budget nazi, their example is very inspiring. Hopefully I’ll win the drawing! :) Thanks for the review! I would LOOOVE to win this book. I’ve read so many books like this but I was so excited when I heard she was writing one. This looks like such a helpful book! With 2 kids, 2 pets and 1 income.. I need it! PS.. my “money saving tip” is ALWAYS checking the internet for coupons, discount codes or sales before purchasing a big item. I think the best place to start is simply with AWARENESS! Most people don’t even realize all the little ways they are spending all that money so fast… How much DO you really spend at Starbucks every year? How much do all those extra trips to the store for 1 item cost in the end? Etc. etc. i would love to win! my favorite way to save money is to coupon. My husband and I have saved a great deal of money by using coupons and buying only sale items while grocery shopping. Our food budget is usually under $30/wk, and we eat very well and healthy. Only buying things on sale, even if you’ve saved the money for it and have enough. It’s a great feeling! freezer cooking in my best money saving tip. I like to pair coupons with sales for GREAT deals! I follow her postings and have truly learned so much on how to save as well as other life teachings. I can not wait to get a book and read it. This will be one that is hard to put down! You can’t beat matching coupons with sales! That has saved our family so much money. I try to buy in bulk whenever it makes sense to save money. I buy cereal, oatmeal, nuts, snacks and other items from the bulk bins at my grocery store whenever possible. We are regular coupon users! Following a budget, telling your money where to go, is mandatory. It’s amazing how much money you can save & debt you can pay off, when you actually pay attention to where your money goes. We use envelopes and coupons to make the most of our money at the grocery. We also limit the debit card purchases. I would love this book! My favorite money saving tip is making my own laundry and dish detergent, along with homemade bodywash. 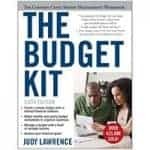 I really need to get this book, my husband and I are looking into getting our budget in order and getting our spending cut down as well as killing off our debts. 2012 is the year for us to finally get on track. The money envelope I know has worked for many others, couponing is what is working for us now. My favorite money saving tip is realizing what’s a need and what is a want. And only buying it if you can afford it. I would LOVE to win a copy of Crystal’s book! I love the website Money Saving Mom!! I am really looking forward to reading this new book. It sounds inspiring!! My favorite money saving tip is to clip coupons, and freezer cook in bulk a couple of times a month. Just having my dinners ready has saved us so much! I always know what’s for dinner, and never have a night where I don’t know what to cook, so we end up wasting money going out for dinner!! Envelope system is the only way to go in saving money! Can’t wait to read this book! I think the biggest way we save money is that we have some “mad money” that we each set aside each month. It’s like an allowance. We are free to do whatever we want with that money–buy dumb stuff, save for a big purchase or use it on hobbies. All other purchases that are over $100 (and not mad money) need to be discussed with each other first. It’s been a great way to really keep tabs on our spending. I really appreciate Paine’s perspective… you have NO IDEA how badly I need the instruction and advice this book offers (i.e how to de-clutter, efficiently manage your time, coupon, etc.)!! I want to do all I can to help get our family out of the debt we’ve incurred so that we can be free to give as the LORD leads – having this resource would definitely aid me in beginning to budget in every area of my life! Although I haven’t really done this consistently, my favorite money-saving practice is the envelope system. Knowing what you have to spend in each area of your finances (and being disciplined to only spend the allotted amounts) helps a budget outlined on a piece of paper become a reality and really helps you to think through the necessity of each expense. My favorite money-saving tip is to make a menu and stick to it. That saves us so much money! I carry a note card in my purse with me that says, “DoI really need this? Is this a want or a need? I look at it to stop impulse shopping. Bis difference in a need and a want. Making homemade gifts is oen thing I do a lot for saving, but I also believe coupon clipping and paying with cash are equally important. I try to buy multiples of things when thy are on sale. That way we avoid having to pay full price. I would love to win this book. My favorite money-saving tip is to use cash envelopes. It has really kept us on track budget-wise and when we stop using it, our spending always increases! Never go to the grocery store hungry, and take and stick to a list. You end up spending more if you don’t. Buying clothes @ Salvation Army on their 50% off days. You can get great deals on brand name items. Nothing a bit of washing can’t clean! We have cut back on eating out and when we do eat out, we usually order water and may even split an entree. I would love to win this book! I save by doubling up on coupons and looking for sales. This book looks so helpful. When I go grocery shopping, bring a shopping list, price match & bring coupons prior to getting to the store(if applicable) and go on a full stomach! I usually go when the store is quieter, that way I don’t feel rushed and there’s not so many people! My fave tip of all time is “batch cooking”….bake a roasted chicken one night and then next day boil in water to make chicken soup. Using the same meat twice stretches the budget. Also, while “once a month cooking” can be overwhelming, everyone can “batch cook” which simply means doubling or tripling a recipe…make a meatloaf 3x normal size….have two nights in a row or for lunch next day. Saves energy too by not using oven two nights in a row! Turn down your heat a few degrees. To keep warm layer up or put a blanket on. We are turning the computers off and the heat down. It has been a savings on the electric bill this year. My tip(s) would be shopping your grocery discount/damaged section – coupons still apply to these items – and buying clothing, etc at major sale days (like Black Friday) and end of the season. The trick is only buying what you’ll need and not simply because it’s a great price (on black friday). Thanks for the giveaway. I’m new to this site so I’m curious to check it out. I save money by using coupons and following Money Saving Mom Internet blog. I’d love to win this book! Being a newlywed with student loans, etc… we took Dave Ramsey’s course and have learned to budget! Giving each dollar a name in the budget. I love the idea of starting with de-cluttering. There have been several times when we have bought something we already owned because we couldn’t find it in the mess. I’m currently working on clearing out all the stuff we don’t need by donating, freecycling and selling it on Ebay. I’m taking the slow path to decluttering because I tend to crash and burn if I try to do too much at once. And I love adding to my son’s college fund with the money we are earning from our Ebay sales. Buy on sale … I like to stock up on Ground Beef when it’s on sale … I will go ahead and brown all that I buy and package and freeze for future use. Saves money and time. Buy on sale … I like to stock up on ground beef when it’s on sale. I will go ahead and brown all that I buy … package and freeze for future use. Saves time and money. One of my money saving strategies has been to not only have a rotating, 2 week menu with an accompanying shopping list, but also to keep my breakfast, lunch, and dinner foods separate. For example, I rarely take leftovers to eat for lunch; instead, I have specific foods set aside for our lunches (I’m a single mom of one, active 6 yr old boy), and use the leftovers for dinners. It’s cut down on how how often I cook, and it keeps my monthly food budget managable, even with everything going up. Would love to win a free book…..we are all out to save a few bucks and learn along the way is so rewarding. Saving tip: have money moved to savings from your paycheck each time you get paid. Years back I read the book The Automatic Millionaire by David Bach and started following some of his principles. Accounts(savings, 401k, Roths, emergency funds ect.) should be set up to have them funded automatically or most of us just neglect to do put money in them. I started putting $25/wk in an online savings account so I could not easily access the money and it still amazes me how fast that money adds up! Own a crockpot! With a little planning ahead during times less hectic than an hour before everyone in the household is fainting from hunger, it’s easy to have a full, rich, delicious meal ready. There’s something wonderful about being able to smell dinner cooking slowly all day, as well. By deciding what will be for dinner in advance, prep work can be done during lulls (night before, morning, whenever a lull naturally happens in one’s daily flow) and dinner becomes easy and pleasurable, not frantic, rushed, and often more expensive. I hope to win a copy of that book! It sounds fantastic. We garden, shop clearance and thrift stores and consignment sales. Also we make lots of food and household products from scratch. My tip is to plan meals every week. When I don’t plan meals, I find that our family eats out a lot – which with a family of 6 can be quite expensive. I use coupons that double up to $.50 …when those items go on sale for $1.00, I get them for free!! Make a price book for all the stores you shop at. My favorite money saving tip is to set a budget and stick to it. It’s not hard, just decide how much you can spend, and spend no more than that. Maybe you have to give up things, but mostly I see myself finding ways to get the things I want in creative ways. Trying new brands, waiting for the “perfect” sale, etc. Make a grocery list before shopping and eat first! I rarely ever go to the grocery store hungry and it’s always better to use cash instead of my debit card so I don’t overspend. Thank you for this book recommendation! I have been living on a very strict budget for several years now this has helped me to realize that my family and I don’t really need very much “stuff” to be happy. We budget our meals and are able to afford organic foods and eat healthy. I don’t in general clip coupons but I always buy on sale. I will use a coupon if it saves more than one dollar. In this difficult economy sales are abundant and I often buy quality that will last at a fraction of the cost! I hope to read this book and become even more aware of how and where I spend money. The best thing we did was to set up ING subaccounts that are autodrafted from our checking account each week. We started the last week of December in 2010, and haven’t had to panic when we needed money for life/house/car insurance premiums, school tuition and school expenses, bi-annual property taxes, vacations, kids’ extracurricular activities, emergency fund savings, charites, etc. Rather than having a large pile of savings, we can see exactly what we have to spend in each account. We started out with about a dozen categories and now have almost double that. It might seem a little extreme, but it works for us. I turn the shower off while I shampoo and soap up. Since the city estimates our bill, they sent us a $100 refund! My husband had to take a 3 minute shower while deployed in order to conserve water. I figured I could do the same. My favorite money saving tip is to just use less! In any given recipe, I will use less of one thing (usually my more expensive ingredients) such as the meat or cheese. I use about half the recommended soap when doing laundry, and less shampoo and conditioner. It really works, and you very rarely notice the difference! My favorite tip is to use products like vinegar to clean your home. It works as a softener in the washer, a rinse agent in the dishwasher, window cleaner, and I also clean my countertops with it! I would love to win this book. I save money on our electric bill by participating in the summer saver energy plan. We get a rebate on our bill in November. Using a coupon with a sale item! We use cash for groceries and other “daily” expenses so we stay within a limit. Keep track of your spending in a monthly log to see exactly where your money goes. Be sure to track every penny. Best money saving tip I have (that’s worked for my family) is to make as many things from scratch as possible. This includes food, cleaning products, beauty products, and clothing. If you’re not a good cook — it’s worth learning. If you don’t know how to sew — it’s worth learning. When I run out of something, the first question that always crosses my mind is “Can I make this?” A quick Google search usually shows me that it’s possible and I usually successfully make another item from scratch. It’s saved us an enormous amount of money. Make a menu, then a grocey list, use coupons and only buy items when on sale. We drink water at our house and if we go out. It is a rare thing to have something other than water. I think this saves a lot. I pass my older daughter’s clothes down to my younger daughter and then once she’s outgrown them my neice gets them. My best budget tip is to Stop. And. Think. If I can avoid acting on impulse, I usually change my mind later and realize I don’t need whatever I was reaching for. 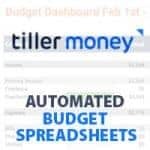 Have a monthly budget and tell your money where to go! We’ve saved a lot of money by buying restaurant gift certificates on daily deal sites. Of course, we need to be careful to only buy for times we plan to eat out anyway. Coupons and list. Plus not shopping just for something to do! I also only go when my time is limited and I can’t look around! I just ordered her book for a recently widowed friend who is in terrible financial shape. I would like to have one! My friend lives thousands of miles away so we can’t share and my budget won’t allow two! Thanks for doing this! My favorite money saving tip is probably buying ahead when things are free or very cheap, or a close second is evaulating what are true needs and going without the other things. My favorite money-saving tip is to shop in-store clearance sales/racks. I always do better there than online! I would like to read her book. I have no new money saving strategies, but by trying to stay home and only shop one time a week, I save myself from the temptation to spend more! My tip is to think about how I can do things cheaper. For example, my daughter liked a certain type of cheese that came in individual sizes. I looked at what that specific type cost vs buying a cheese she liked in bulk and sending that. The saving was significant. We use coupons as much as can & watch sales alot. We could really use this book so we maybe could learn how to work our debt down & stay out of debt!!!!!!!!!! I would love to win this! My favorite money saving tip is to use the Cash Envelope System! Using cash keeps me accountable for every penny that is spent! You know you can’t go over like you can if you are using a debit card or check! My best money saving tip is to stop using credit cards, go with cash only or debit cards when ordering online or getting gas. Just doing that have saved us a ton of money! Using a coupon binder has been the best thing for our family! My husband and I save money by cutting back on our meat consumption. We cook with meat once or twice a month, but stick with veggies, grains and other protein sources the rest of the time. I’d love a copy of the book. I save money by combining coupons with sales. Using envelopes is my favorite tip! Write it down! Every penny spent…and you’ll save! I’d like to win the book. Buying used has saved us lots of money. I can’t wait to read this book! I would love to learn even more tips from Crystal than I already have from her blog; and couponing for groceries, h & b items, clothing, auto care…you name it…has REALLY helped our budget. My favorite tip is to pay extra on your mortgage principal to save thousands of dollars in interest. We use cash for the items we purchase– it’s harder to give that away! My favorite money saving tip is to layer discounts, i.e. combine coupons with a sale or free shipping with a coupon code. To do this, you have to be able to buy not when you need the item, but when it is discounted. I hope I win–I just added Crystal’s book to my list of books to read in 2012! well lots of good tips already but one that I do is to make sure and save a little bit for fun. I always budget for at least once a month eating out with the family after church. The kids really look forward to this treat! I follow Crystal’s blog ~ it helps me save money, especially following store match-ups! My saving advice: SUNDAY PAPERS! Get your Sunday papers, organize your coupons, and USE THEM! Also, make lists before you go to the store so you will not pick up items not on the list. Best tip I try to follow to save money and pay off debt is Dave Ramsey’s ‘Gazelle Intent’ strategy with money! My money saving tip is to not carry cash. I actually find it easier to spend cash when I have it on hand than to use a credit card. If I don’t have cash, I’ll think more before I used a credit/debit card and will go without unless it’s an emergency. If I have cash on hand, that extra few dollars usually gets spent faster. I follow the store sales closely and always maximize my bogo offers especially when I have a coupon. Also, I make sure to purchase 6 weeks worth of an item while it’s on sale so I don’t ever have to pay full price. I love to sell my kids’ outgrown clothing at consignment stores & use my credit there to shop for new ones that fit! keep the thermostat 2-4 cooler in the winter and warmer in the summer. the savings really add up! My favorite money saving tip is to use cash only and always stick to the budget! We only try to eat out in restaurants and days where kids eat free! My money saving tip is to use a Envelopes system. My husband and I are still trying to get our heads wrapped around it all, since we’ve spent our lives using our money unwisely – but we’ve started using Crown Financial’s Mvelopes system and I can tell it will be a God-send once we start really implementing all that is taught. Coupons are the best saving tip that I have. Using the all the time. I never go grocery shopping hungry and I try to buy stuff from Sam’s Club in bulk. It also allows me access to their gas station which tends to have better gas prices than normal gas stations. one way that we save money in our home is that my husband does the grocery shopping on his way home from work so that i don’t have to drive 30 miles into town to go to the grocery store and I went and bought all that i need to make my own laundry detergent. I would love to win her book. We buy thicker disposable napkins and always tear them in half to get double for our money! I want a free copy of the money saving moms book on budgeting. I save money by making menu plans to use up all the food in my pantry before things expire. Less wasteful that way! I really want to read this. I’ve started making a menu before shopping to prevent over buying and plan my meals around whats on sale by looking at circulars. I would love to have a copy of this book for many money saving tips for my family of 10!! I like to save money mostly by shopping with coupons! Comparison shop! Couple with store sales, coupons, and stock up. I write out all of our bills by what is due with each paycheck. That way I am never late on anything! My best tip is cutting my husband’s and my son’s hair. It saves us at least $20 a month! My fave money saving tip is have a BUDGET. For groceries and entertainment especially. It really works! I follow Money Saving Mom. My best money saving tip is I make 99% of our meals at home. With meal planning I cut our budget by 30%. I am so inspired by The Paines’ hard work to stay out of debt. Being a couponer myself, I know how hard it can be to save pennies when there really doesn’t seem to be any to save. Thank you for the inspiration! I just my public library – even if I later buy a book on half.com – I check it out first from the library. Money saving tip: turn down the heat, wear layers, buy a good pair of slippers, drink a mug of something hot, light a fire – all to cut down electric and gas bills at home! My Money Saving Tip.. PRICE MATCH would have to be mine.. as we live some distance from the “better deals”.. but we can price match here and it saves alot of gas and wear/tear on the vehicles! Thank you for the chance to win one of these books! My favorite money saving tip is to buy ahead when things are on sale so that you don’t have to spend extra because you have to have the item right then! 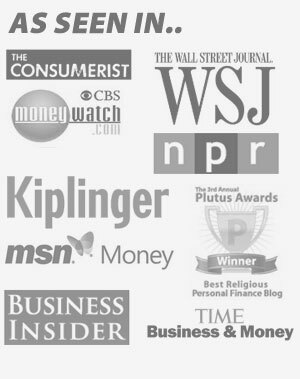 I’m a big fan of the MSM’s website and hope to make some big budget changes in the new year! I would love to win her book for advice on how to get it done! Follow blogs-a lot of times they let you know where the best deals are, teach you how to coupon, and where/how to match coupons with sales. Get out of debt & stay out of debt. I love to research blogs about free stuff and coupons! I have my own storage room for all my goodies I am “collecting”…lol..
My favorite way go save money is to meal plan and only grocery shop twice a month. What I try to do is shop around (and be aware) for the best prices, especially for more expensive, recurring items like meats and diapers. I watch the sales and shop accordingly. I like using competitor coupons at Publix!!!! I have saved a lot on my grocery bill!! We are going to all cash budget January 1. We also buy items with coupons when the items are at their lowest so we can maintain an inventory. We use vinegar and rubbing alcohol to make household cleaners. I hope to win this book so we can expand what we are already doing. My favorite money saving tip of the moment is homemade Chinese ‘takeout’ food. I use egg roll wrappers and use a mixture of cole slaw mix, whatever cooked leftover seafood or poultry I have in fridge, mix with some spices and then pan fry them. I drain them well, arrange them on a pretty plate, and my family thinks they are straight from the restaurant. My tip is to always check for coupons and follow “Money Saving Mom” blog :) I would love to read this book from a busy woman’s perspective! I love the testimony that even when they didn’t make much and their rent was most of their paycheck..they chose to still tithe 10% ALWAYS! God is faithful! We check “retailmenot.com” before buying something online. My best tips are to shop the BOGO sales at the grocery with coupons and also to track exactly what I am spending! my best money-saving tip is to try and re-use/re-cycle almost everything. I re-use glass jars as food containers, plastic bottles are re-used for outdoor chores, I re-use almost all gift-wrapping supplies that don’t look too crumpled. Before buying anything I always think and look to see if I can manage without it. Simple but it really saves a lot of money in the long run. My tip – go without. Realy, really, really decide if you really, really need something. Tip #2 – don’t shop for recreation. My tip #1 – go without. Realy, really, really decide if you really, really need something. never use credit cards has worked well for us! I shop at salvage stores and use coupons to reduce my grocery bill! I read the previews of the book on Amazon and would love to win a copy to read the rest and try to get our financial life on track. We are in the biggest rut! My tip is simply save money by staying out of the stores. I find myself sometimes going shopping when I’m bored and that is the worst time because I don’t need anything, I just need something to do. Now I’m picking up a book instead. Staying home saves money. I buy in bulk and alway use dinners leftovers for next day’s lunch. I always use coupons…the best way I know to save money! My best money saving tip is to comparison shop and don’t limit yourself to shop at only one store. I typically shop at 3 different grocery stores each week to help save money. Never go to the store hungry and always take your coupons with you. This would be so great! My favorite tip would have to be implementing a working budget and sticking to a cash system. Thank you Dave Ramsey! I’ll admit we often forget to plan ahead for stuff though and end up blowing the budget but we are learning! My best money saving tip is that I buy large quantities of items when they are on sale AND I have a coupon. coupons! I just discovered coupons and I’m in love. I do the same as others who have posted, check the internet for coupons and specials…get freebies whenever possible. Her website is also VERY helpful and one that has stood the test of many bi-annual blog unsubscribes. split your money, give, save, spend! we learn how to do stuff on our own. We just tiled our entire house. I’ve learned to cut tile, lay tile and grout. It was fun and super cheaper than hiring someone. My best money saving tip is coupon, coupon, coupon! I especially love the $10 off a $10 purchase from jc penney’s. It really shaved a lot of money off my Christmas gifts this year. I use coupons for groceries, restaurants, and anywhere that offers coupons or discounts. I even call companies to find out if they are circulating coupons. my best money saving tip is learning how to do menus and making due with what we have around the house. Also she taught me how to coupon shop. If it wasn’t for Crystal I dont know how we’d make it on one income. She saved my family a lot of money too. Hope I win thank you Crystal. I buy most things for my family at the thrift store to save us money. My favorite money-saving tip is the one I used while doing my Christmas shopping. I made a list and a budget for my shopping, then went to the bank and withdrew the CASH to pay for each person’s gift and put it in an envelope with their name on it, with ideas for their gift written on the front. As I purchased, I used only the cash in the envelope instead of swiping my debit card like usual. I spent WAY less money this year! My best $ saving tip is: I pray before I shop! My “I want this” attitude changes to an “I don’t need this…or why did I think I wanted this?” thinking. It often amazes me! My best tip is to use double coupons coupled with sales on groceries and check retailmenot.com for discounts on all the other purchases! My $ saving tip is: I pray before I go shopping. My “I want this” attitude changes to “I don’t need this”…or even, “Why did I think I wanted this?” It sometimes amazes me! My favorite money saving tip is combining coupons w/ sales — been doing that for 20 years! But have really enjoyed the extra tips that Crystal gives on her blog. Thanks! We are a cash only household! would love to win the book:) i will happily read it then share it with our public library so other can learn from her as well. And that is my money saving tip: use the public library! We “rent” videos, and always check there before buying books. Use coupons. Set a budget and stick to it! Dave Ramsey helped save our finances! Our biggest help was going cash only and kicking my husband out of the bank account. He is the spender and loves the ATM card…he would check the balance in the checking account, withdraw what he wanted and wouldn’t account for checks I had written for bills that hadn’t cleared yet. One person per bank account is our new rule and pay for everything with cash. I like to make my own febreeze using downy and water! Would love, love, love to win a copy of this book. Grocery shopping by list only using coupons and mega-deals to save money!! I love Crystal from Money Saving Mom. Reading her site taught me how to use the ads to get better deals on the food I buy for my family. My money saving tip : get a second opinion to avoid impulse buys. We have started using cash. It’s amazing how fast the money goes away and seeing it leave our hands (and seeing the lack of money left!) really helps us to be more cautious in our spending! I so agree with what she says about clutter. I am trying to simplify my life and purge what is not needed. I would love to own this book. My money saving tip is Freecycle its a great way to get things you need while giving your own clutter to someone who will use it. I like to use coupons to save on toothpaste. Great savings! Never pay full-price!! Watch for sales & clearance! I love following Crydtal’s blog and her tips. Having a copy of her book would be fantastic. I love following Crystal’s blog and her tips. Having a copy of her book would be fantastic. My favorite way to save money is by making my own cleaning wipes, laundry detergent, and dishwasher detergent. My best money saving tip is actually to follow blog’s like Crystal’s Money Saving Mom and also local blogs that will have more regional deals such as Simply Frugal Living in the Pittsburgh area. I hope I win, but honestly my best money saving tip is to simply live below your means! That’s the only way to save money! My favorite way of saving money is being creative. I always go back to the moto during the Depression “Eat it up, wear it out, make it do or do without.” When we change our thinking we will change our behavior about true needs vs. wants and desires. I’ve learned so much from Crystal and other blogs. I would really love to win this book, but will “keep the faith” regardless. simple really – make sure to use every drop of your shampoo, bodywash, etc. It’s okay to rinse the last little bit with water and store them standing on their top! My tip: live within your means. It can be hard at times, but for my peace of mind, well worth it. My tip is to use coupons when possible and stock up a little so you do not run out of basics and have to run to the store. My favorite money saving tip is reuse and recycle. Don’t buy it if you don’t need it! Would love to read this book. Buying bulk when on sale at my co-op and planning simple meals are 2 ways that we save. With 7 children to feed, I need all the help I can get on my food budget. Would love to win this book! I use lots of coupons,looking for bargains! using cash, especially at the grocery store. if i’m out of money at the end of the month, i just get really creative. We use cash envelopes for many of our monthly expenses…this helps us stay within our budget, especially when it comes to groceries and dining out. I love to use coupons to save money! My money saving tip is to make sure you make a grocery list before shopping and do not forget to bring your coupons! Thank you for doing this giveaway! Let’s see, I am learning so much from Crystal and the other readers, but I think my favorite money saving tip from her so far has been matching store coupons with manufacturer coupies! I had never tried that before, can you believe it?? I’ve just started getting into coupons, I dont know why I havent started before. I love saving money this way. Meal Planning is one of the biggest ways my family saves money. I would love to win this book! My favorite money saving tip is to price match at Walmart on my groceries. Best saving tip I have is stay out of stores! It’s terribly tempting to me to just browse. Would love to win a copy! Couponing with sales is the best way I save money. And then saving what I just saved. Couponing with sales and writing down every expense I buy. I love to buy in bulk and helped start a natural foods coop and organic produce coop so that I could buy healthy foods at much lower prices. We got rid of cable tv. We use the digital converter. Really don’t miss it and love that my kids never see TV commercials. My best tip for saving money is to not go in to stores unless I absolutely have to and never shop without a list. Money saving tip: using as little paper products as possible. I would love to win this. My money saving tip would be to use cash! Once its out, its out! The best way I’ve found to save money is to shop with cash. Knowing exactly how much I can spend and not allowing myself to go over is important to staying within my budget. In addition to couponing and matching sales to really stretch my grocery budget and using cash back sites for the online purchases that I make….I am a HUGE fan of Thrift Stores. Thrift Stores benefit so many – they benefit the purchaser who is able to get something for less, they benefit the charity they support and they support our environment by essentially recycyling (we are such a throwaway society)…I’ve gotten some great items there, especially books! my tip is using coupon database before going to grocery! My best tip at this time is set a budget for shopping INCLUDING anything you plan to buy using coupons or stockpiling. My favorite money saving tip is to clean everything with vinegar and water. Less chemicals and SOOO much cheaper than buying all those other cleaners! I am in total agreement with Dave Ramsey, in that 80% of our spending is behavioral, so being aware (ex – you spend on average 28% more when using plastic) and making a conscious effort to change is the start of changing our future and, by the way, our children’s as well (guess what… They are very aware of what we are doing… Just think about where our habits and practices originated!). One money saving tip is that we eat out less, make more freezer meals, and shop with coupons when there are sales. I also shop at 2 grocery stores weekly to get the best deals and the lowest prices. Would love to be a winner as I follow her blog daily. Keep store receipts in case you need to take something back. I price match and use coupons, follow money saving blogs (such as Money $aving Mom’s!) and shop clearance racks and garage sales. My money saving tip is to buy discounted or used gift cards for your favorite stores and then save them to use them in a sale. My favorite site is plastic jungle. That way I get 10% off of the gift card face value and can combine it with a sale to score even more of a discount. Favorite money saving tip is buying whole milk and adding some water to make it stretch further. My kids get the whole stuff, and my husband and I get the partial version. Goes farther and less calories for us! So excited that you are givingaway some of those books, I am anxious to read it, would love to win one :) ! moneysaving tip – use your library – ours has the usual books & audio books. they also have videos, cds, and video games. they even have subscriptions to ancestry, morningstar and several other online research sites. ALL FOR FREE! they even let you request items for them to buy, and put you at the head of the line to check out the item if they buy it. BE AWARE of what you spend. write it down. keep track of it. My favorite way to save money is to combine buy one get one free sales with coupons. Favorite tip is don’t spend more than you make and give every dollar a job. We use a cash budget. One of my money saving tips is that I have a club card for both grocery stores I shop at, print coupons all of the time and clip from me weekly paper. Exciting giveway! My biggest money saving tip is using coupons, making lunches and dinners at home, and using energy saver appliances and devices. And my most recent money saving tip is to investigate making your own laundry detergent, hand soap, etc. 20 mins prep and a few hours wait have saved us SERIOUS money! My favorite is menu planning! I would love to win this book! My biggest money saving tip is using coupons and always make your grocery shopping list by what’s on sale. I also make my own laundry soap, which is a huge savings! I’d love to win this book! I like to save money by planning menus and using up what we have. I have a steam mop! This saves money since I no longer have to purchase an actual cleaner in order to mop and I can now save on vinegar, since that is what I used before! Reuse plastic shopping bags for lots of things such A’s trash can liners. I keep the heat down and bundle up in the house. Also a crockpot can save you money- random ingredients you already have in your cupboard and viola! dinner! My favorite money saving tip is “use those coupons! !” Matching coupon with sales and in store promotions saves my family thousands of dollars each year! Thank you for the giveaway!! thank you for this oppurtunity! im a huge fan of crystals and with a toddler, a new baby on the way and a foreclosed home we just purchased we can use all the money saving tips we can learn! My favorite tip is Drugstore Shopping with coupons and loyalty cards. My tip is to make a meal plan based on the sales and stick to it. Not buying all the extra has really helped us. I would love to win a copy of this book! My money saving tip is to keep your coupons with you at all times. I keep mine in my purse and some in my car as well. That way I always have them with me when I need them! My money saving tip is to buy on sale with coupons for ultimate savings. I love keeping an eye on the clearance racks and shelves at my local grocery stores and Walmart. I get Christmas gifts, birthday items etc. early and cheap. I would LOVE to win this book!! I have found that making my own laundry detergent helps to save a lot of money. It doesn’t take very long, but really pays off in the end. Money tip, coupons! Saving is a great way to start, once you have a stock pile you can always make baskets and give them out as gifts. Take advantage of toy sales in July, you can start your christmas shopping early. Always at an extra $10 to your credit card bills, one pays more in coffee and going out in the week, you can pay off your bills quicker. Treat yourself to going out to eat at least once a week with the family, it’s family time and saves more money. Fav money saving tip: before buying something I always ask myself “Do I NEED this or do I WANT this?” Usually I don’t NEED it so I can’t justify buying it. To save money, I cut my dryer sheets in half so that they last twice as long. Once a month we shop only from our pantry and freezer for meals and aim to spend no money at the grocery store. I saw that the deadline for this giveaway is today, December 28th, however it says that this contest is over. I am a little disappointed that I still can’t enter as it is still December 28th and no time was listed as to when on the 28th it would be over. I am new to all this saving money stuff. I use coupons but dont seem to save much. You also indicated to click on the rafflecounter widget but I couldnt find this. I have been reading Crystal’s site for almost a year now, and I love it. It is so uplifting and encouraging. She has helped me be more organized, and have a better outlook on life. Can’t wait to read more of her great ideas and her lovely writing. My best tip is to follow money saving blogs in order to find the best savings and not to spend money on unnecessary items. My motto is I’ll buy almost anything if it’s free and ANYTHING if I make money on it (you can always donate the item if it’s something you don’t need). I always make an extra serving of dinner for my husband to take for lunch the next day. This ensures he doesn’t have to spend any extra money to eat.